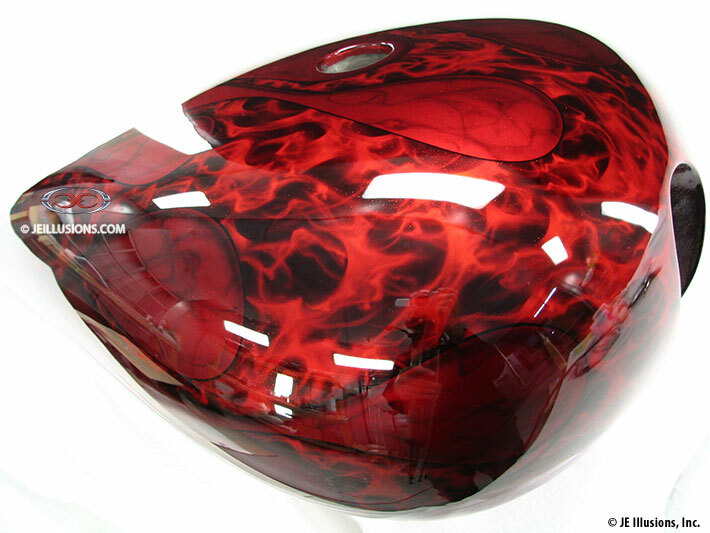 Beautiful high-gloss airbrushed flames using red & black sit inside a tribal pattern. 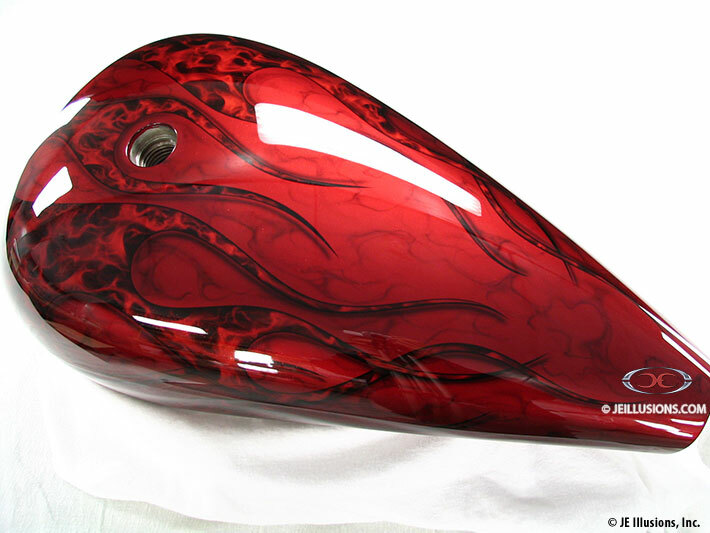 The tribal pattern design has an airbrushed dropshadow added for extra depth and clarity. 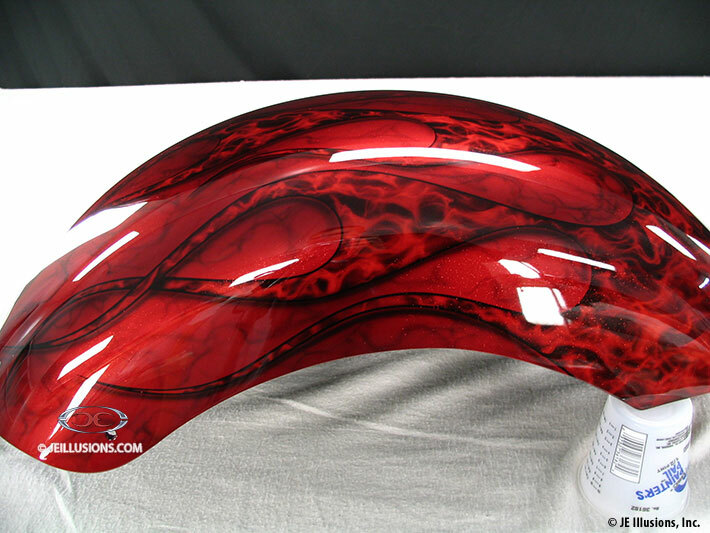 All of this is set against a smokey Burgundy under-base with a slight airbrushed marbling effect added. 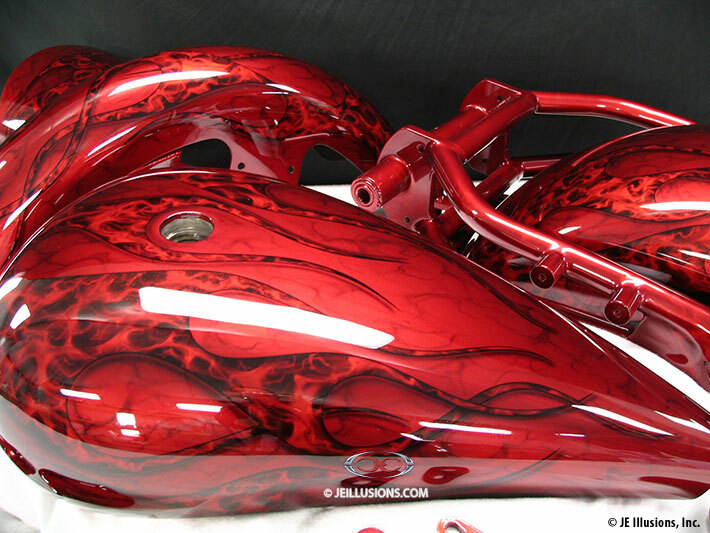 This shows great effects using colors in the same tonal range.